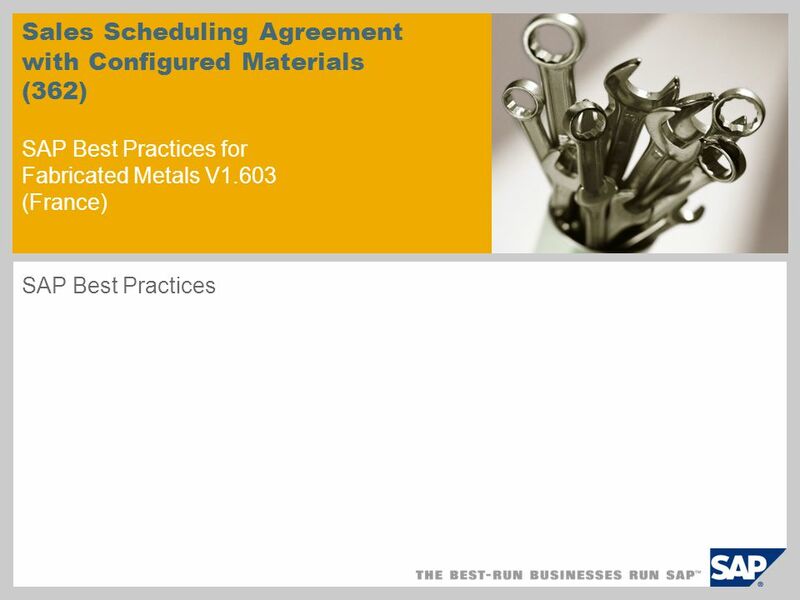 Sales Scheduling Agreement with Configured Materials (362) SAP Best Practices for Fabricated Metals V1.603 (France) SAP Best Practices. 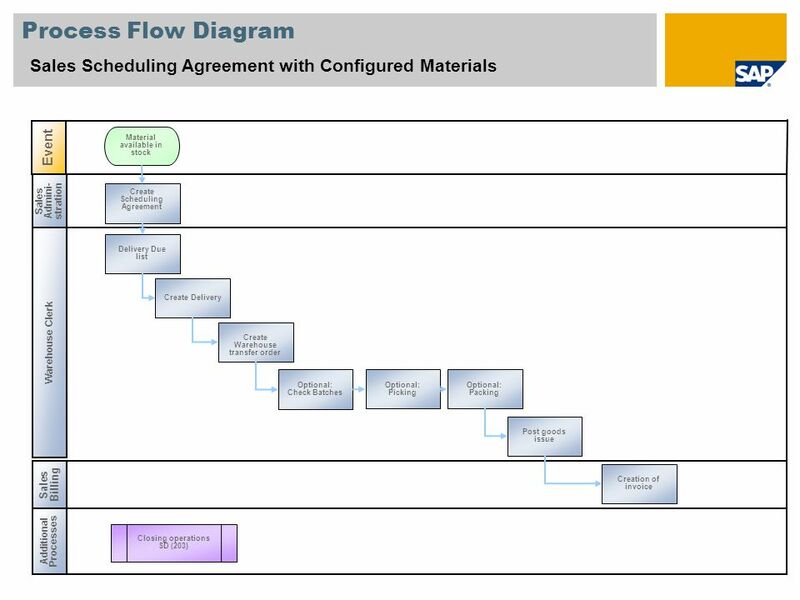 Sales Scheduling Agreement with Configured Materials This scenario deals with scheduling agreement processing which is very largely used in the discrete industries. 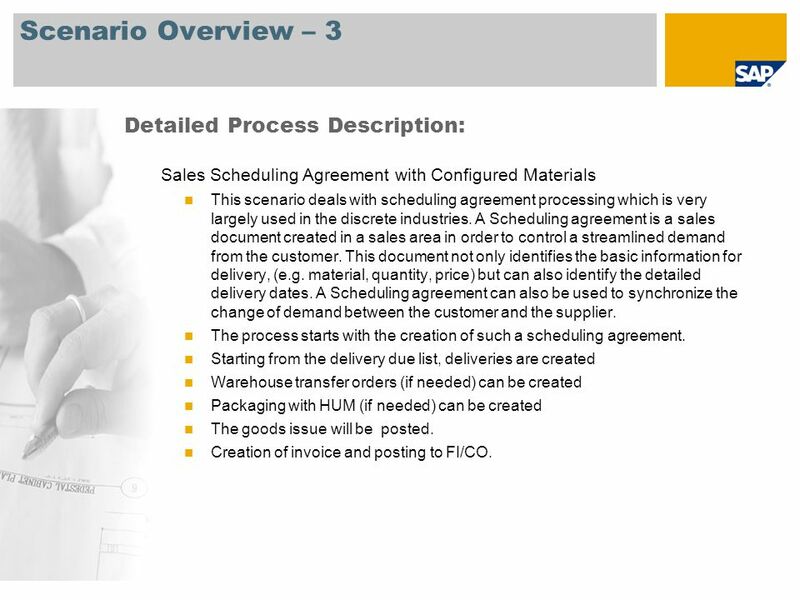 A Scheduling agreement is a sales document created in a sales area in order to control a stream­lined demand from the customer. 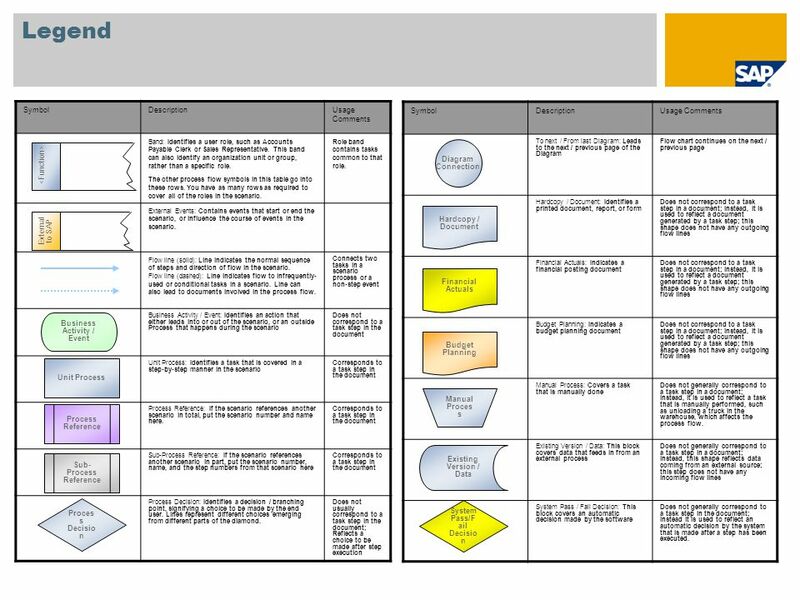 This document not only identifies the basic information for delivery, (e.g. material, quantity, price) but can also identify the detailed delivery dates. 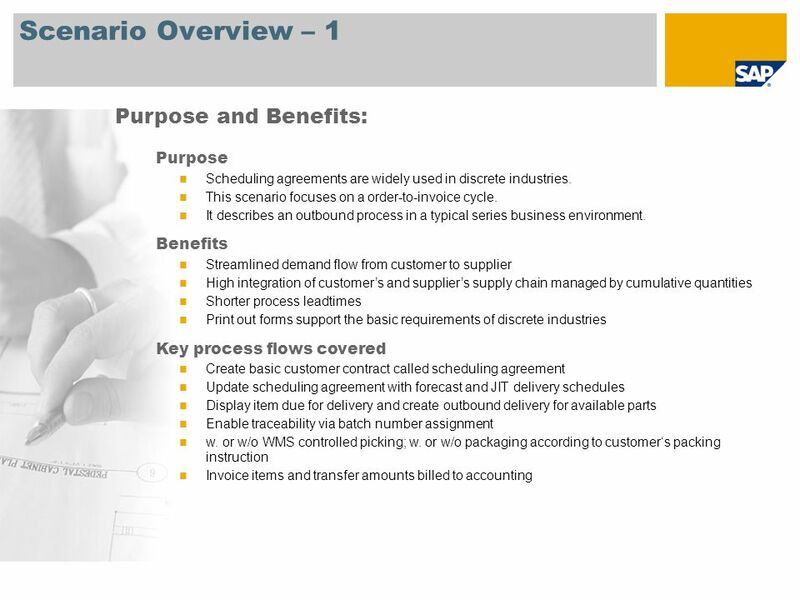 A Scheduling agreement can also be used to synchronize the change of demand between the customer and the supplier. The process starts with the creation of such a scheduling agreement. Starting from the delivery due list, deliveries are created Warehouse transfer orders (if needed) can be created Packaging with HUM (if needed) can be created The goods issue will be posted. Creation of invoice and posting to FI/CO. 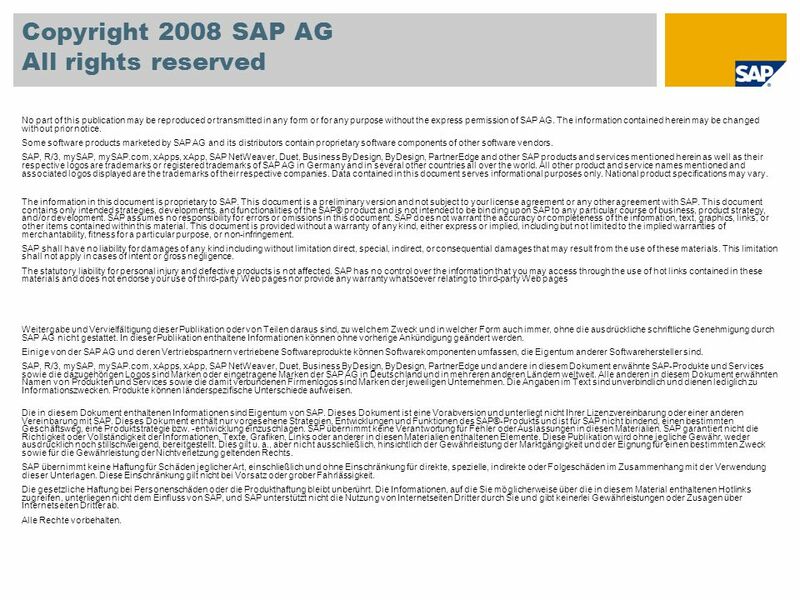 Herunterladen ppt "Sales Scheduling Agreement with Configured Materials (362) SAP Best Practices for Fabricated Metals V1.603 (France) SAP Best Practices." 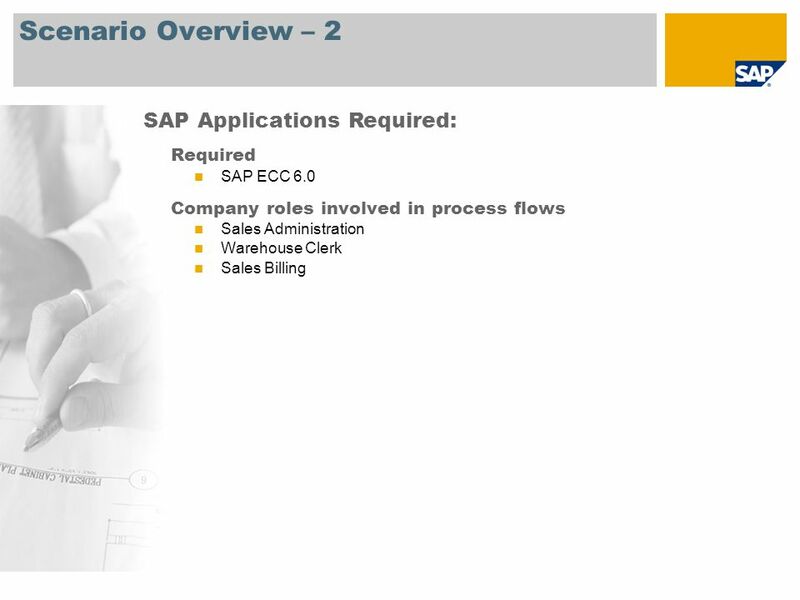 Budget Maintenance with Budget Control System Overview SAP Best Practices for Public Sector US V1.603.